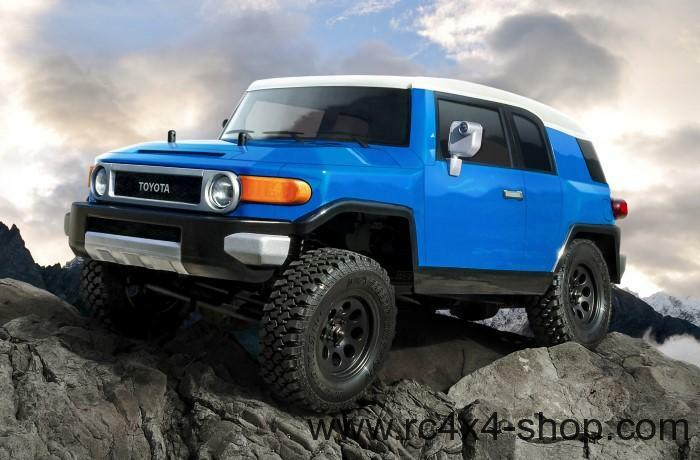 CMX Toyota FJ Cruiser KIT - a brand NEW CMX chassis by MST. 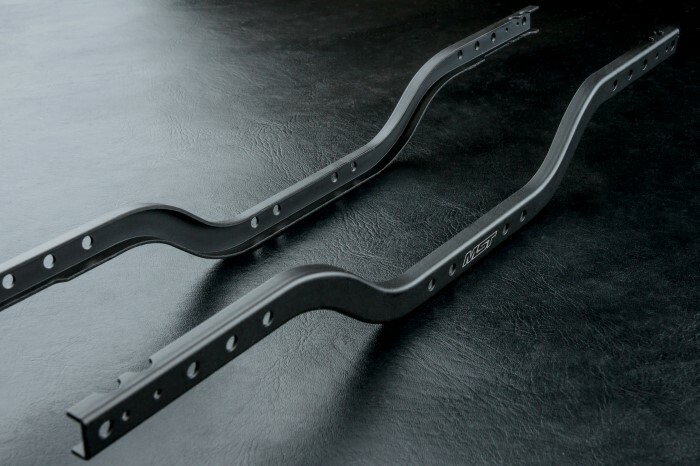 Made from high quality materials. 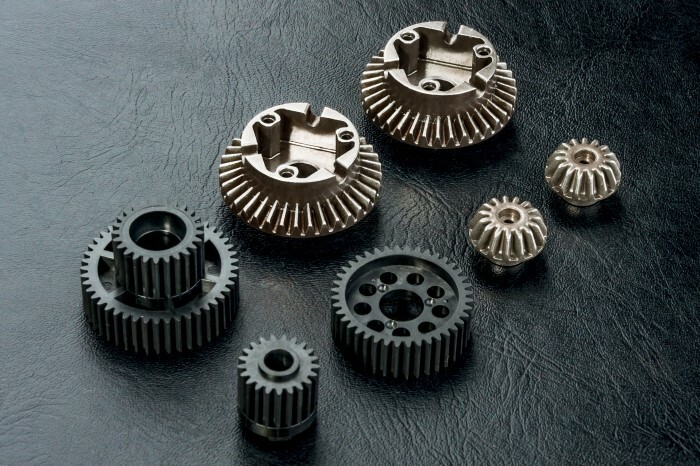 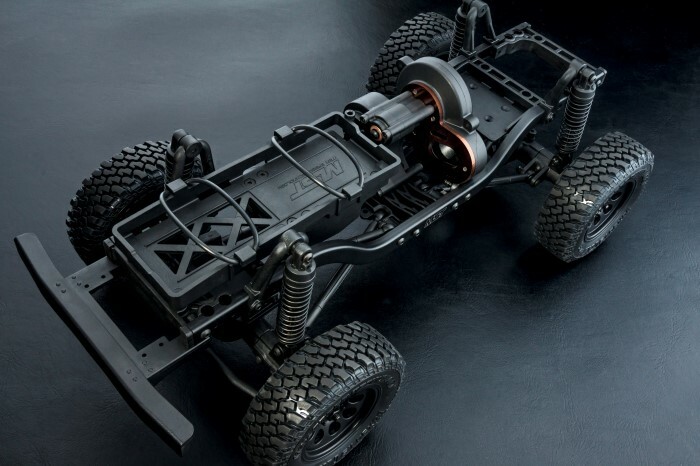 Thanks to its small dimensions it is very suitable for Tamiya hardbodies and lexan bodies as well. 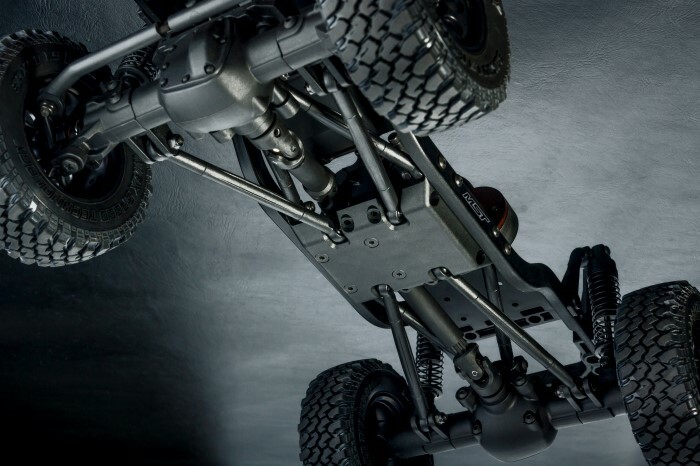 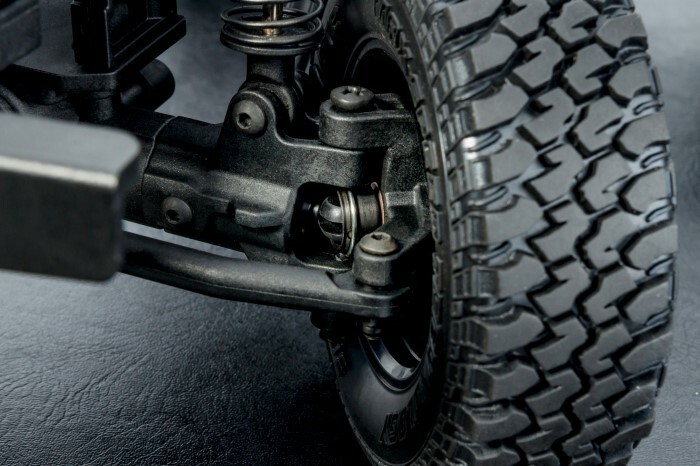 Equiped with CVA front axles for 40° steering rate and oil filled shocks for perfect and smooth flex. 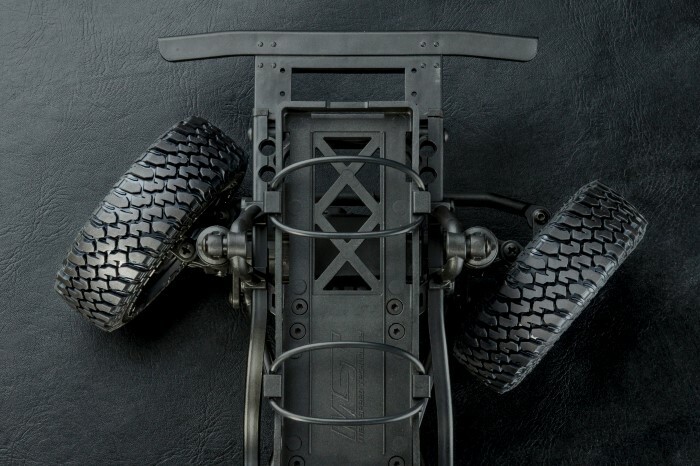 Model is based on metal frame. 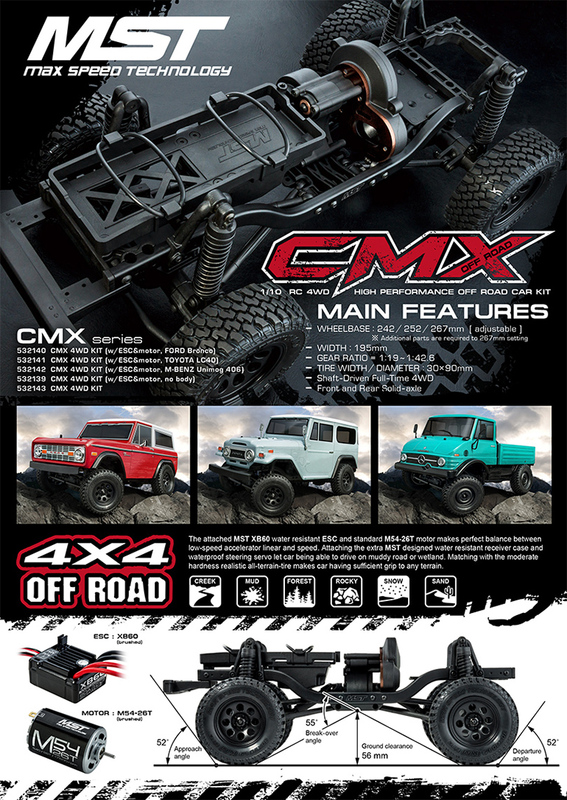 Contains waterproof XB60 ESC and high torque 35T Motor. 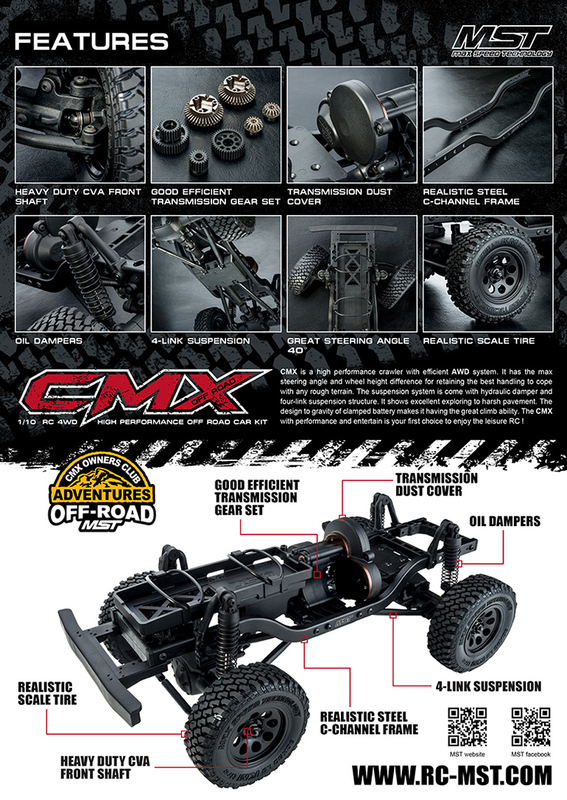 Complete chassis KIT with gearbox, axles, driveshaft, rims, tires, body mounts, XB60 waterproof ESC + 35T Motor and clear Toyota FJ Cruiser lexan body.